A track home just like all the others hid a dangerous secret until that fateful night on November 3. An explosion was reported by neighbors just before midnight, the flames could be seen from Grand Avenue, lighting up the abandoned tennis court and drawing stares from the by standards across the street. No one could have guessed the person responsible once swore to protect and serve. 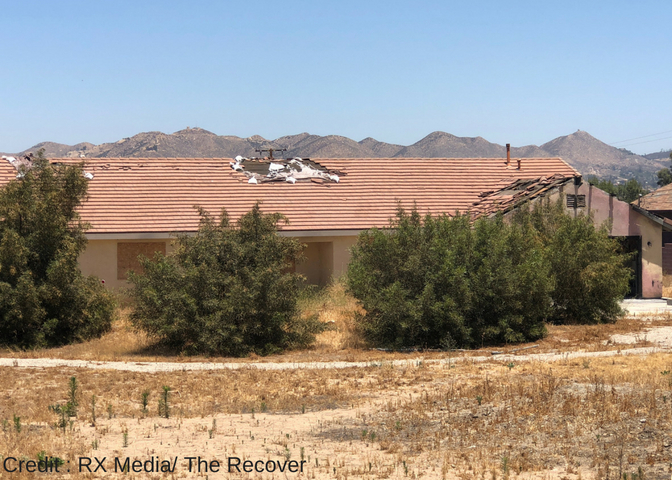 Joseph Jay Spadafore, 64, a resident of Menifee, was sentenced to 5 years in federal prison after the Lake Elsinore home he used as a Hashish oil lab exploded and caught fire. Spadafore was a former Los Angeles Police Department officer between the years of 1976 to 1991, a fact that was used against him during the 3 month long trial. Federal jury members listened to evidence from both sides of the room, including testimony from fire department members who found evidence that the home was converted into a lab that produced Hashish oil containing potent amounts of THC from marijuana plants using the dangerous process involving butane and propane. In almost every room of the house, lab equipment, lethal chemicals and containers filled with the substance were found, except for the master bedroom, which contained mail in Spadafore’s name and personal belongings. The home produced 30 liters of the Hashish oil, 22 propane tanks, soda kegs, and trash bags filled with marijuana. Two firearms were found, one loaded and hid under the defendant’s pillow, to protect himself and the manufactured drugs, which had an estimated street value of $300,000 to $500,000. This annulled the defenses’ argument that the ex-cop was “crashing” at the home that was originally rented to a man from Florida. The homeowner testified that he had no knowledge of Spadafore and had rented his home to a different man. During the time of the fire, Spadafore was the only person home and called emergency services for help himself. Spadafore told firefighters the fire may have been ignited when he was draining gas from his motorcycle in the garage, according to a sentencing memo filed by prosecutors. Once fire officials were inside, Spadafore failed to warn the responders of the dangerous chemicals within the home, a fact that was influential with Judge John F. Walter’s decision to charge him of maintaining a drug involved premises, according to the U.S attorney office. Scientists, Psychologists "Addiction is a Brain Disease"